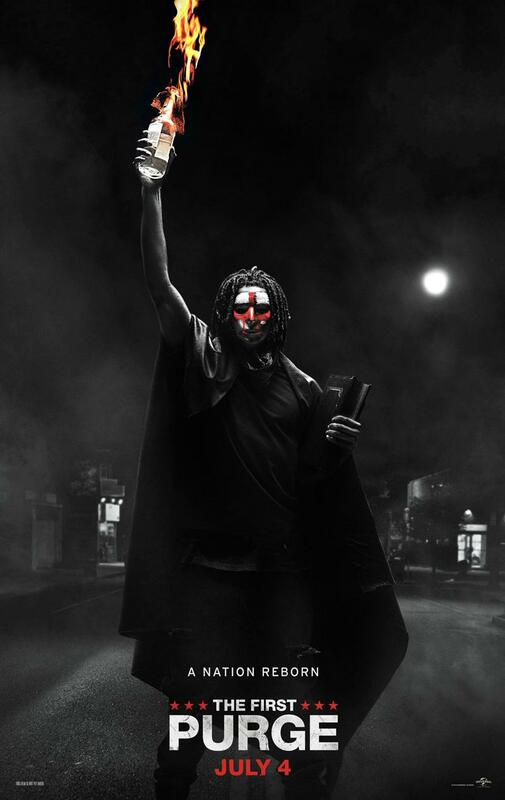 The New Founding Fathers of America (read: Universal and Blumhouse) have delivered a suitably creepy and unsettling trailer for The First Purge, Gerard McMurray’s horror prequel that journeys back to the early days of America’s darkest tradition. 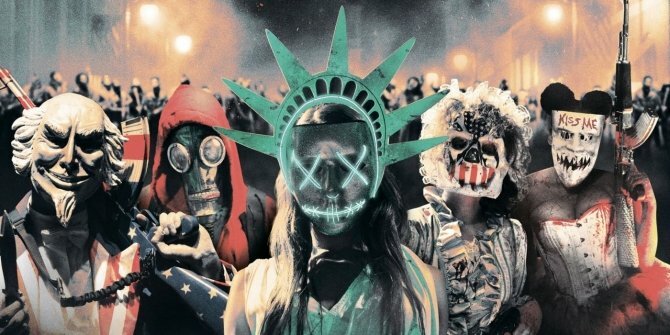 If you’re unfamiliar with The Purge and its primitive premise, Blumhouse’s cult series takes place in the near future where the United States of America grinds to a halt for a 12-hour period in which all crime – all crime – is legal. Cue the anarchy. To date, there have been three Purge movies: the beloved 2013 original, along with its sequels Anarchy (2014) and Election Year (2016). Now, it’s time to find out how the purge came to be. Series creator James DeMonaco is back on writing duties, though he’s since handed over the reins to Gerard McMurray, who stepped into the director’s chair back in 2017. And at least based on this first-look preview, fans will feel right at home when viewing McMurray’s First Purge. The First Purge ignites a bloody revolution on July 4th. Over on the small screen, Syfy and USA Network’s are making serious headway on their Purge TV series after casting Gabriel Chavarria (War for the Planet of the Apes) and Jessica Garza as the two primary leads. Look for that one to premiere before the year’s end.